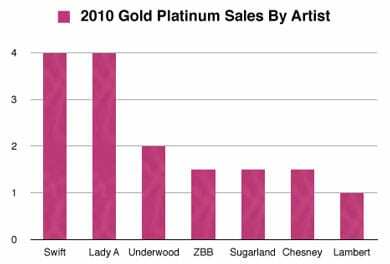 Looking at the Sales By Artist graph, Taylor Swift and Lady Antebellum were tied with 4 million each followed by Carrie Underwood (2) ZBB (1.5) and Sugarland (1.5). Swift’s Fearless got a 6 million award which was the highest Nashville artist multi-platinum cert. Lady A’s Need You Now was awarded for 3 million. 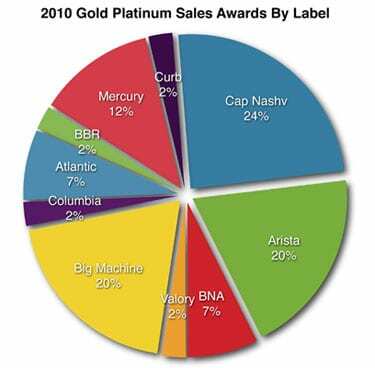 Methodology: RIAA Gold, Platinum and Multi-Platinum certifications are based upon shipments, not actual sales and are therefore different from SoundScan numbers which are based upon actual sales. RIAA Gold is 500,000, Platinum 1 million and then additional awards are in one million increments. If an artist gets a Gold and Platinum in the same year for the same album, we count it as one million units (not 1.5 million.) The first platinum certification gets a 500,000 tally, since that is what it needed to go beyond its Gold award. All multi-Platinum certs get credited for one million per award. 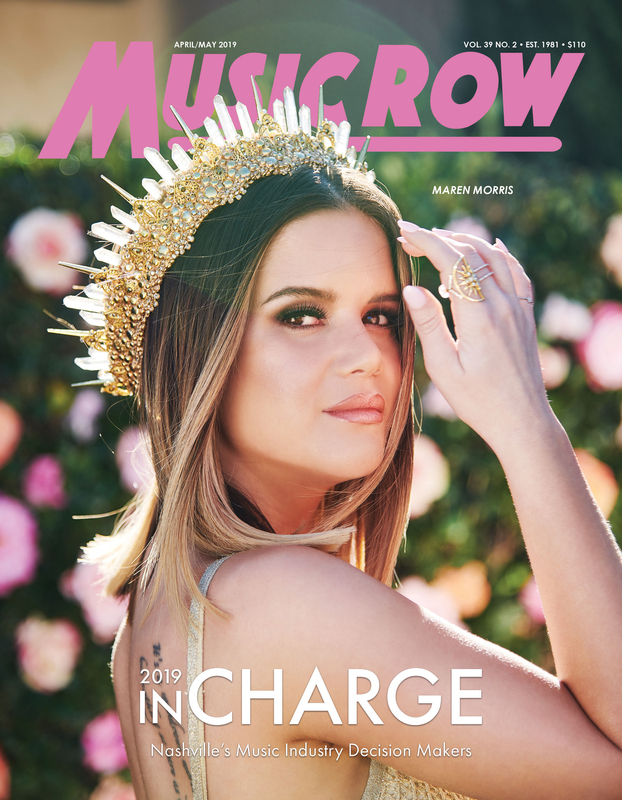 Another detail is that in the case of catalog and older albums that received an award in 2010, not all the sales/shipments leading up to that award necessarily occurred in the same year.